While residential solar power adoption continues to grow at a steady rate, commercially-used solar power is not yet realizing its potential, despite the fact that going solar can save businesses and building owners a significant amount of money each year. Many businesses have not taken the time to understand the benefits of solar power and see only upfront cost with not much of an upside apart from being more “green.” However, between reducing a building’s operating costs, government incentives, and the considerably less amount of maintenance required, industrial businesses and buildings are essentially losing money by not switching to solar power. Industrial businesses might be under the impression that their buildings are not ideal for solar panel installation when, in fact, the exact opposite is true. 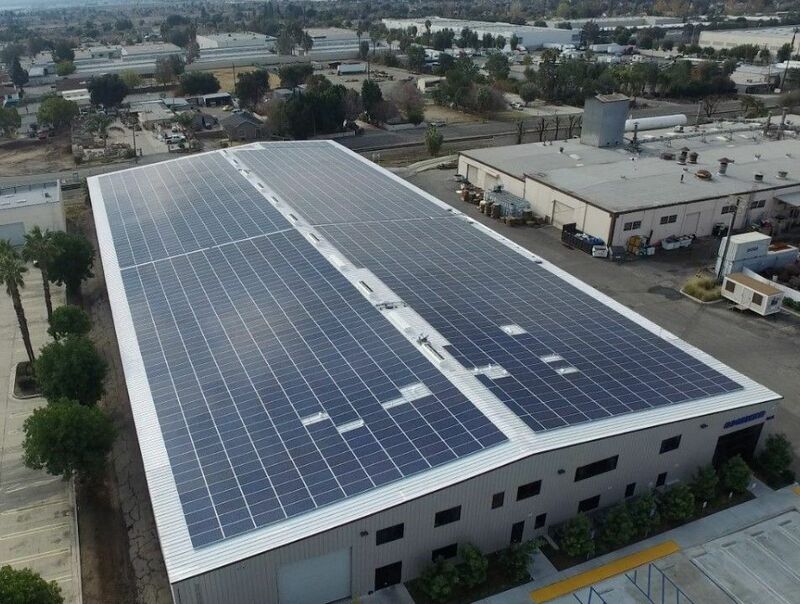 Industrial buildings are actually ideal for solar panels, as their roofs are mostly straightforward spaces without obstacles like chimneys or skylights, which can create issues with shade. The shallow pitch roof design of most industrial buildings also allows for potential installation on both east and west-facing roofs of the building. So what are the benefits? The most obvious one is the reduction of operating and energy costs. Whether you choose to pay for your panels upfront or lease them, the drop in your utility costs will not only pay for the system but, over time, continue to pay for itself ten times over. While solar panel installation can still seem costly at first, there are a number of both federal and state government incentives in place that work to help make the purchase of a solar-powered system much easier. For instance, businesses can take advantage of the Solar Investment Tax Credit, which offers a thirty percent tax credit on the cost of solar panel installation, no matter how much it is. If you’re still not convinced, there’s also the fact that solar panels require virtually no maintenance to operate. They’re built to withstand the elements, whether it’s rain, snow or hail. Solar panel wear and tear happens in small increments over a long span of time, so you can expect to enjoy cheap, clean electricity for at least twenty-five years before some form of maintenance would be needed. For industrial businesses not yet reaping the rewards of going to green, there’s never been a better time to make the change to solar power. And when you choose REP Solar for your installation, we guarantee that you pay nothing upfront, so you can start saving immediately. So give us a call today at 855-519-6633 Ext 1001 and make 2017 the year you go green.